Fraternal & Group Nametags - and more! 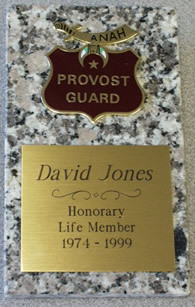 When it comes to creating a quality nametag for your social/fraternal organization, we're the ones to see. Our staff is active in community affairs and we're probably familiar with YOUR group at both a local, state and national level. We know what you stand for and we can help in the selection of YOUR perfect nametag. Nametags will build the friendship and fellowship that marks a growing organization AND they will give your organization a presence in the public eye. Often overlooked when groups fell on hard times, nametags can help regenerate the friendships that once existed. Don't assume that everyone knows everybody else: they don't! 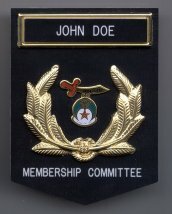 In the past, many organizations relied upon their own members to purchase namebadges if they felt a need to do so. Today, though, growing groups realize that the ability of members to recognize their officers, both past and present, as well as others in the group helps build the spirit of cooperation and unity that keeps an organization growing and vibrant. So many of us struggle when we can't remember the name of someone we should know. Help bring the spirit of camraderie and friendship to your group through a personalized and professional nametag - and at a VERY affordable price!! 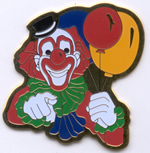 We also produce custom lapel pins as well as pins and emblems of all sizes especially for your organization. These can be incorporated into your namebadge design to produce a VERY unique product. It's a great way to gain unique recognition and get more 'bang for the buck'! Many of our ideas come to us in the most basic form: just a rough sketch of a concept you've thought about. We can take that idea and transform it into a miniature 'work of art' that everyone will recognize and enjoy. 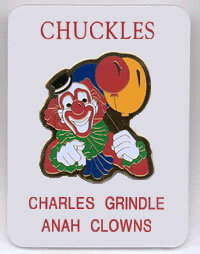 Your custom pin then can be used for not only nametags but also for awards and plaques used by the organization. And don't forget: if you need awards of any kind, we're the experts. Let us know and we'll help you find the right solution at the right price! Look around our site and you'll see that we can help YOUR organization in more ways than just namebadges. Interested in raising funds? Check here! Although the Grand Lodge doesn't purchase their nametags from us, we make tags identical to theirs at a very affordable price and with your choice of safety pin, military clasp, or bulldog clip back. See us first! We also do door & wall signs that your organization might need/want. 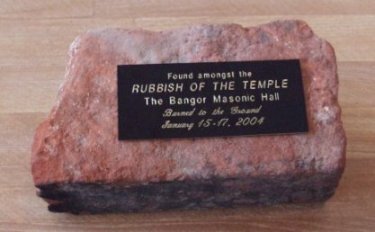 What about something to remember that special item you'll give to your lodge? A hundred years from now, visitors won't know why it's there without identification so make it HANDSOME! Turn the ordinary into the EXTRAORDINARY with an inexpensive custom-engraved piece of brass!